A compelling debut novel that heralds a bright new voice on the literary scene: shortlisted for the 2017 Gordon Burn Prize. Best known for her classic black comedy Rita, Sue and Bob Too, Andrea Dunbar wrote three plays before dying at a tragically young age. This new literary portrayal features a cast of real and imagined characters set against the backdrop of the infamous Buttershaw estate during the Thatcher era. A bittersweet tale of the north/south divide, it reveals how a shy teenage girl defied the circumstances into which she was born and went on to become one of her generation’s greatest dramatists. Black Teeth and a Brilliant Smile is a poignant piece of kitchen sink noir that tells Dunbar’s compelling story in print for the very first time. Adelle Stripe’s writing has been described as a ‘genuine breath of fresh air’. 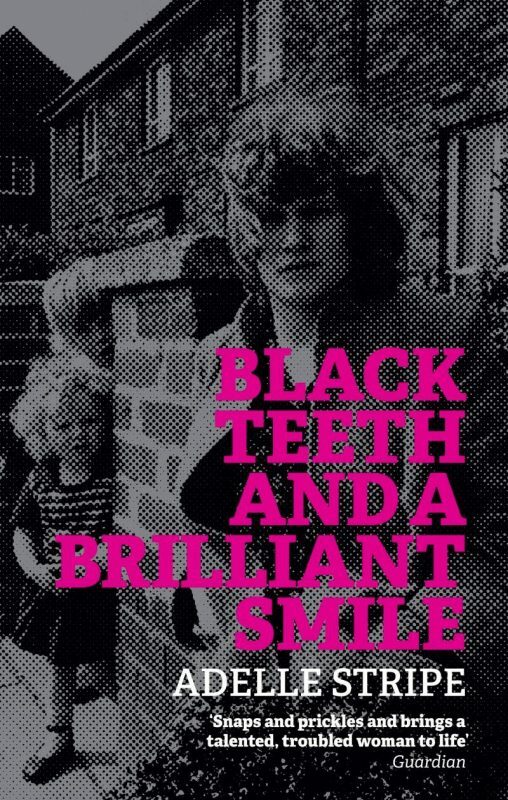 Black Teeth and a Brilliant Smile is her keenly anticipated debut novel.